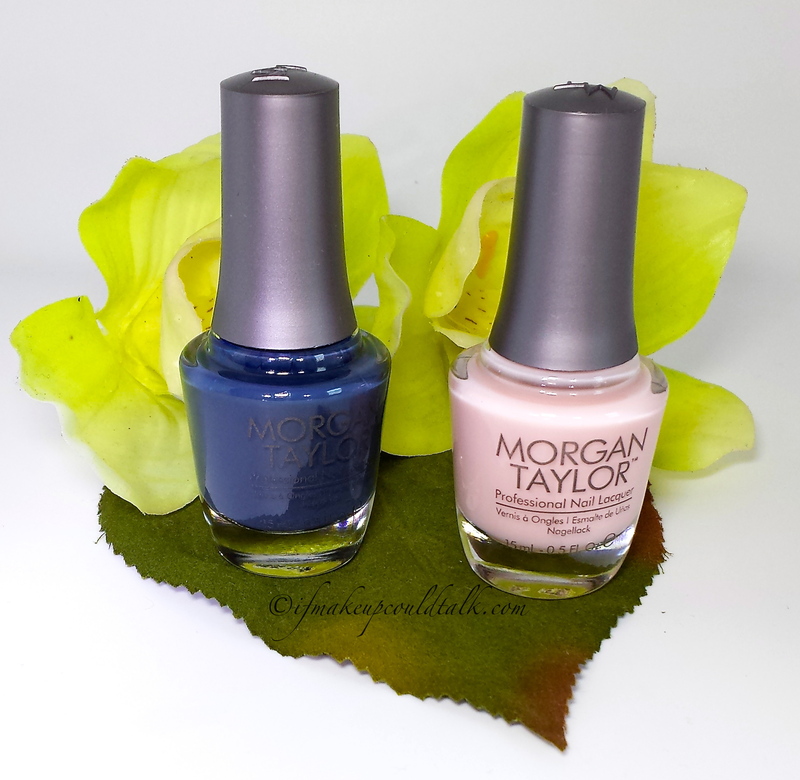 Home Brands and Products Morgan Taylor Nail Lacquer Denim Du Jour and Sweet Surrender. 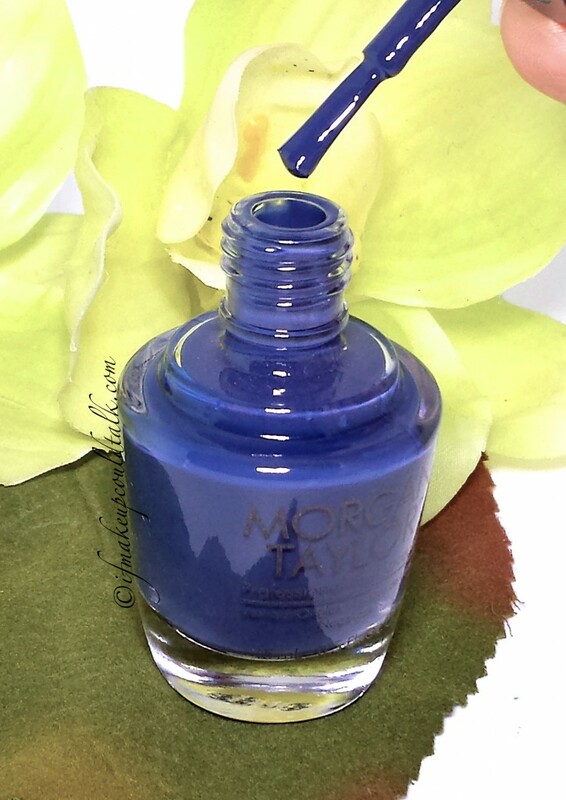 Morgan Taylor Nail Lacquer Denim Du Jour and Sweet Surrender review and photos. Have you ever found yourself searching for one thing only to be completely distracted by something else? Such was the case while I was shopping for my boys on JCPenny.com. One moment I’m looking at basketball shorts the next, I happily discovered Morgan Taylor Nail Lacquer Denim Du Jour and Sweet Surrender ($8.50-4.99 USD/5ml). The OPI-ish bottle style, amazing color selection and reasonable price was too enticing to resist. I hope you enjoy. Morgan Taylor Nail Lacquer Denim Du Jour photo taken with LED lighting. New professional nail polish brand Morgan Taylor is named after Morgan Haile and Taylor Daniel, daughters of the company’s founders, Danny Haile and David Daniel, who are also the figureheads of Hand & Nail Harmony (maker of Gelish). 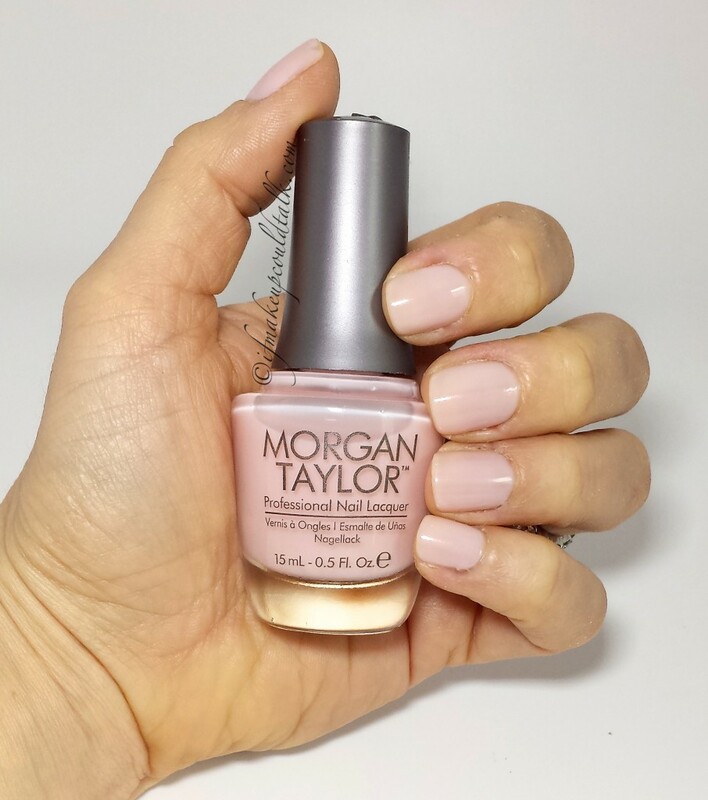 Morgan Taylor Nail Lacquer Denim Du Jour in natural light. 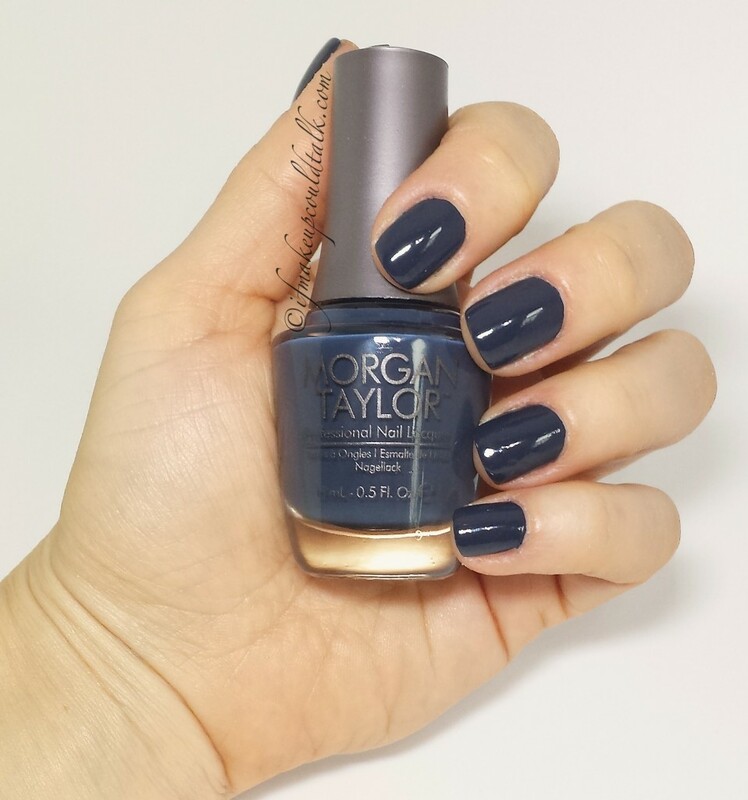 Morgan Taylor Nail Lacquer Denim Du Jour photo taken with a flash. Morgan Taylor Nail Lacquer Denim Du Jour against cool LED lighting. Denim Du Jour is a beautiful gray-blue color with a hint of a teal undertone. This color is a bit of a chameleon shade; the color morphs into different hues depending on lighting conditions. In natural light the gray/teal undertones come out in full force. In natural indirect light Denim Du Jour resembles a deep dark navy and lastly, in the presence of artificial lighting, a slight lapis tinge mysteriously emerges. Denim Du Jour was opaque on the first coat, probably sufficient for most, but on my wide nail beds, a second coat was needed to cover the sides evenly. The wear time was typical of a dark polishes–I experienced slight tip wear by the third day with minor chipping on the fourth day, ultimately requiring a major overhaul by the sixth day. Morgan Taylor Nail Lacquer Sweet Surrender. Morgan Taylor Nail Lacquer Sweet Surrender in natural light. Morgan Taylor Nail Lacquer Sweet Surrender photo taken with a flash. 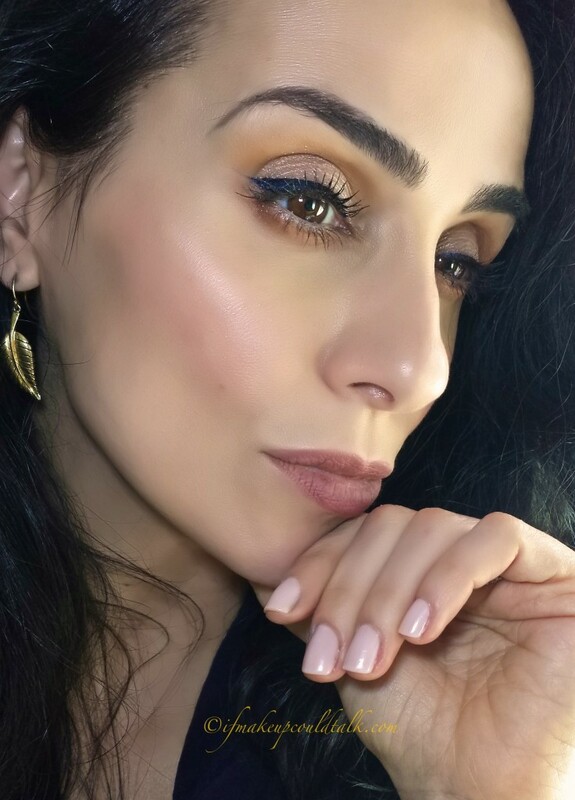 Sweet Surrender was such a pleasant surprise; the pinky beige hue provided just the right amount of pink without making my hands look sickly–extremely flattering against my olive skin. The sheer formula was not patchy on the first coat; however, a second coat gave the polish a more uniformed look. This is a great polish for those who work in a professional environment or those who want a fast easy shade to apply anytime of the year for a refined look. 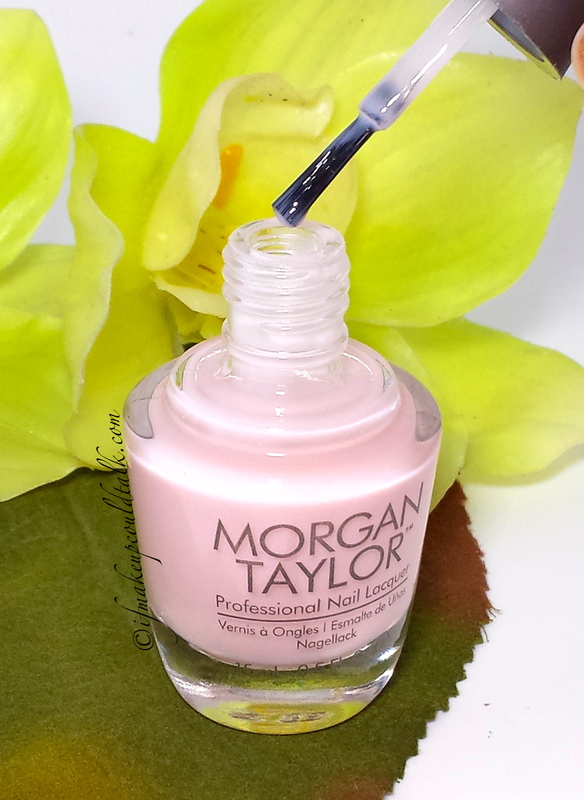 Typical of most polishes on the market today, Morgan Taylor’s polishes are 3-free. The wide “professional” brush head does make application a pleasure. The ergonomically designed handle feels comfortable and provides a secure grip when opening and closing the bottle. Another amazing aspect, unique to the brand, is the Virtual Salon feature on their website. This program allows the customer to see what the polish will look like based on skin tone and nail length. The polishes are conveniently organized by color and/or finish making the virtual experience easy and fun. Check it out (here). Morgan Taylor polishes come in over 150 shades and 6 finishes: Creme, Sheer, Glitter, Pearl, Metallic & Shimmer. **Mogan Taylor Nail Lacquer can be found at JCPenny.com, Amazon, morgantaylor.com, and loxabeauty.com. Makeup would tell you Morgan Taylor Nail Lacquer Denim Du Jour and Sweet Surrender are a fantastic value for the quality. The extensive color selection, affordable price, wide brush head and smooth consistency is sure to please anyone. Will I be getting anymore MT polishes? Of course–next time I decide to do some online shopping for my boys I must remember, two pants for them, three polishes for me. 🙂 See how I roll? Until next time, be well, stay safe and be happy. Ring is Pomellato Nudo Collection (here). Earrings are Jennifer Meyer Gold Leaf Earrings (here). Foundation is Cover FX Custom Drops in G40 (2 drops) and G60 (1 drop) mixed with CoverFX Illuminating Primer (here). Vincent Longo Chiara Flush Stick in Ardensa (here). Estee Lauder Crystal Baby Gelee (reviewed here). Eyeshadow on the lid is ColourPop I Heart This (here). MAC Uninterrupted in the crease (here). Guerlain 02 Liquid liner (here). Worn-off layer of Girlactik Demure Matte Lip Paint (here).